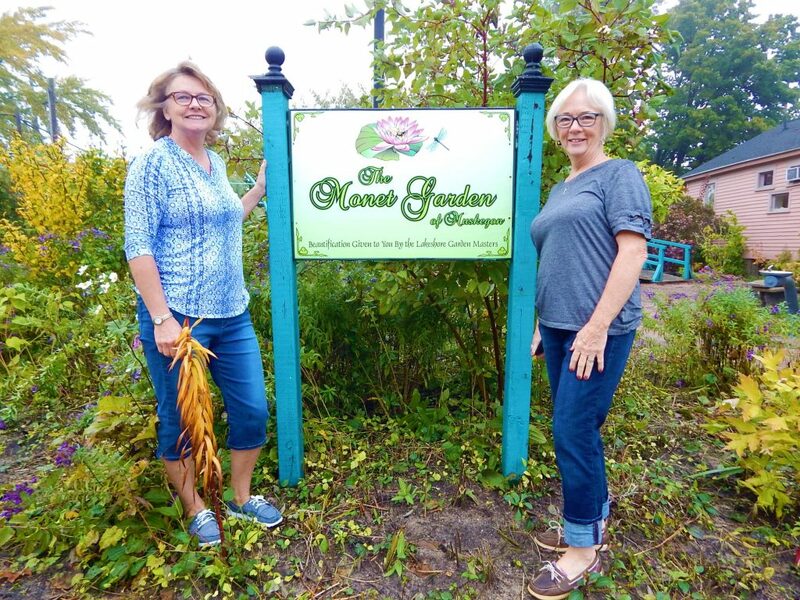 Lakeshore Garden Masters President Jean Baker, left, and Lakeshore Garden Masters Past President Susan Thorpe at the Monet Garden in downtown Muskegon. This column is by Jean Baker, the President of the Lakeshore Garden Masters. 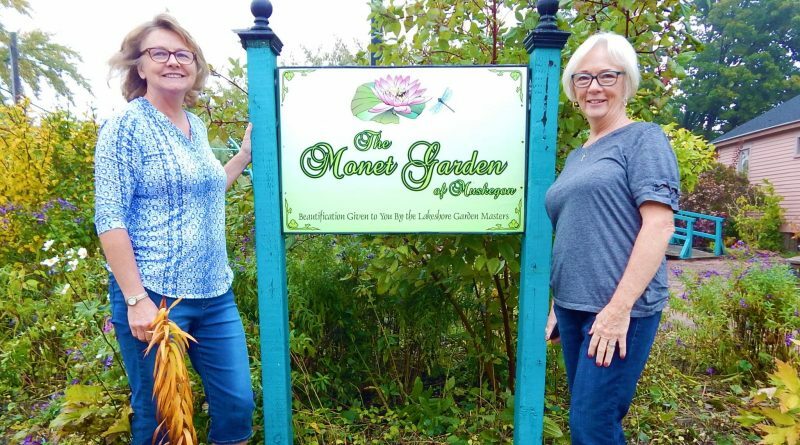 The Lakeshore Garden Masters are the caretakers of the Monet Garden in downtown Muskegon. The group is currently accepting new members and additional volunteers for the Monet Garden. More information and scheduled work times at the garden are located on the Lakeshore Garden Masters website, lakeshoregardenmasters.org. If you are a gardener, around January or February you start getting a mailbox full of garden catalogs. When there’s not much to do outside, it’s very satisfying to see those beautiful pictures of flowers, the luscious vegetables, and other new, improved varieties of plants most gardeners are familiar with. There are also the enticing offers of coupons, providing discounts like buy one, get one free or spend $50, get $50 of plants free. When one would do, why not two? Everyone loves a bargain, so why not order? Before you fill out that order form, here are some important things to consider. Look at the growing zone of the plant. 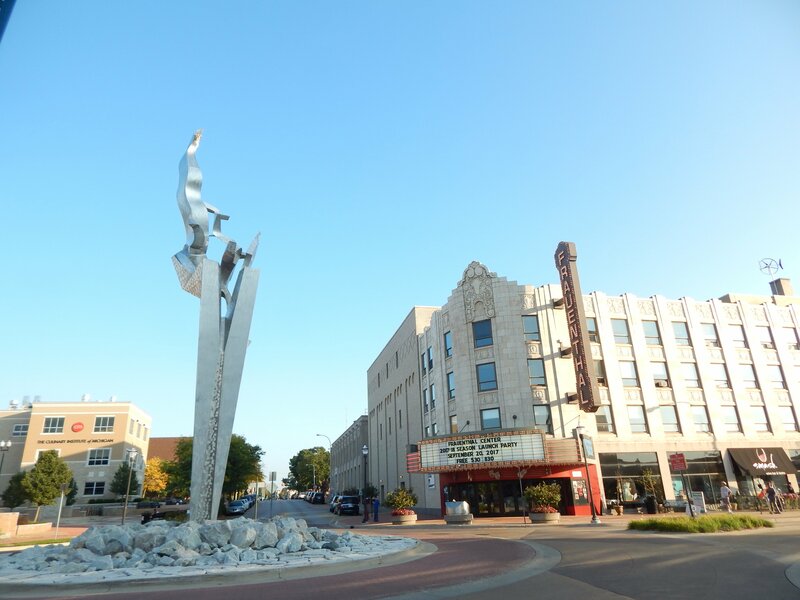 Muskegon and the West Michigan area are about a 6a or 6b. The plant you want may be beautiful, but it would never survive a winter in Michigan if it is the wrong growing zone. You can order plants with numbers lower than 6, but ordering a 7 or 8 hardiness zone plant would be like throwing away money. For very harsh winters, even plants zoned for our area may not survive. As you are looking at that plant picture, check out what light conditions the plant needs. If your yard is mostly shade, you would not want to buy a plant that needs sunny conditions. Some plants that the catalog says can tolerate part shade may grow, but not flower without enough sun. A third consideration is the soil type. If a plant needs moist, rich soil, and your soil is like the sandy type many people in West Michigan have, the plant will have difficulty surviving unless you add significant amendments. No matter what type of soil, the young plants you get from catalogs need a lot of TLC. They need regular watering and tending to allow them to establish their new root system. Now that you have checked all the boxes so your plant seems right for your garden area, what else could there be? Well, there are still a few things to consider. Those beautiful pictures aren’t the plant you are going to get. You are probably going to get a very small plant in a small pot or even just a bare root seedling. I usually repot them and let them grow inside for at least a few weeks until they get over the shock from going through the mail. Sometimes the plants need to be kept inside longer since the catalogs tend to send plants well before your growing season starts. Another piece of good advice is to research the plant using a Google search. You will find garden forums where people who have bought the plant have described their experiences with trying to grow it and will tell you if the plant is as good as it is described in the catalog. Other sites may tell you more about possible pests and diseases. One example I have personally experienced is with honeyberries, a plant similar to blueberries with earlier fruits that are more elongated than round. The pictures in the catalog make the berries look large, but in my experience, they are very small and it takes a lot of them to make even a handful. If I had known that, I probably would not have ordered them. You are now probably thinking, forget about those catalogs. They seem like a lot of trouble and a waste of money. Hold on a minute until you consider how those catalogs expose you to recently developed plants you never knew about that could enhance your garden. New cultivars are always being developed that outperform traditional plants or that can provide a whole new look to your garden. At the least, the catalogs are a pleasant diversion on a cold winter day. Here is a personal example of a plant I loved that I bought from a catalog. Several years ago, I ordered a climbing plant called Major Wheeler Honeysuckle for my pergola. I had never seen it in garden centers, but it looked pretty in the catalog. By the second growing year, the honeysuckle had climbed to the top of my pergola and had beautiful flowers that bees and other insects loved. It has been one of my favorite flowers in my garden. My final word on catalogs is that with care and research, ordering from a catalog can provide valuable new plants for your garden that will give you hours of enjoyment and make your garden a showplace. Just do your research so you get the most green for your green.